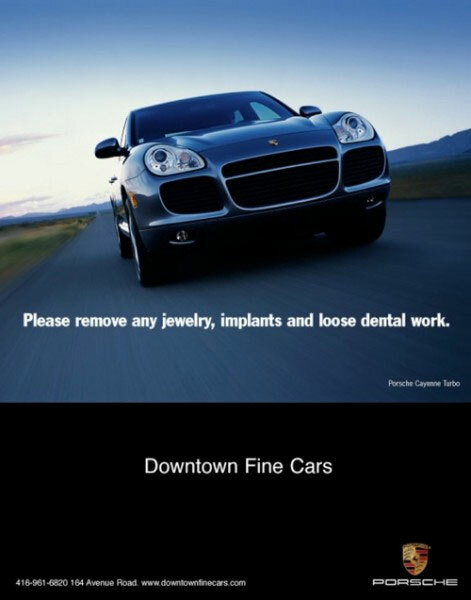 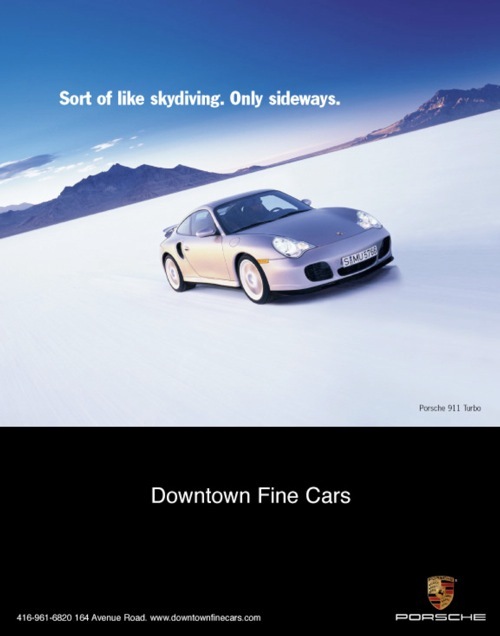 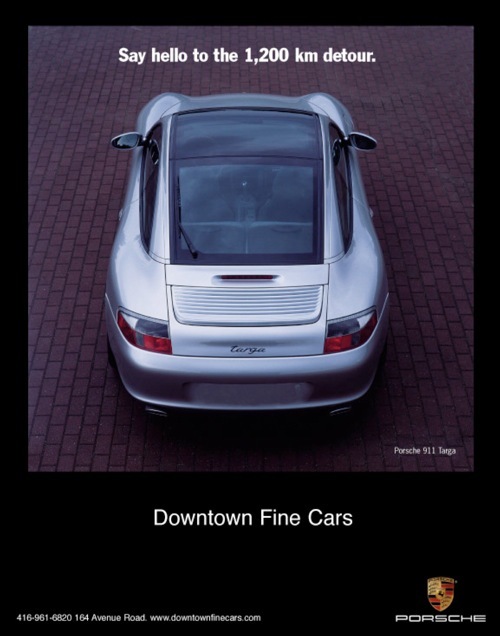 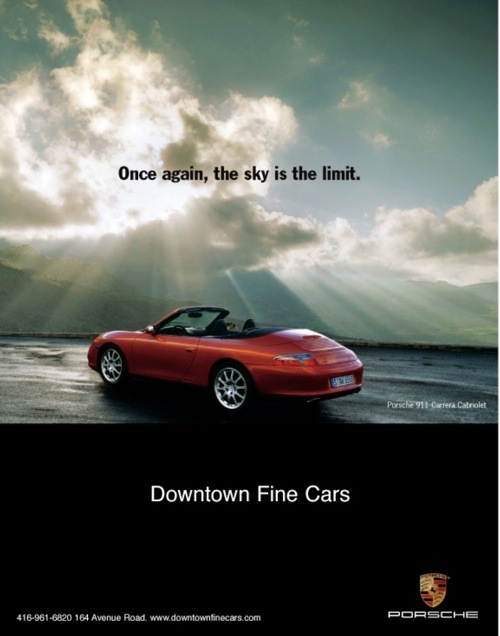 Point of Sale poster campaign for Downtown Fine Cars Porsche. 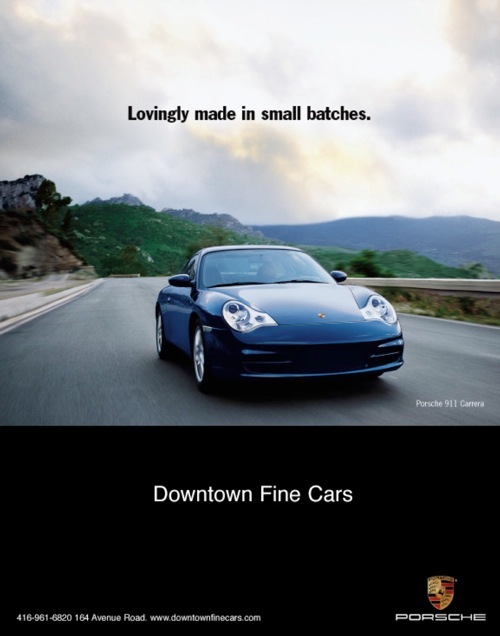 To promote the Porsche brand within the Dealership, Downtown Fine Cars asked Orange Bazooka to create a series of posters to highlight each of the different vehicles. 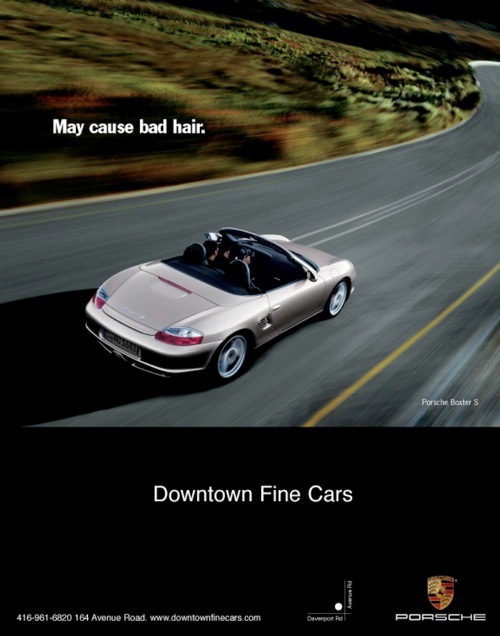 Existing photography was combined with new headlines, each crafted for the specific vehicle and branded for Downtown Fine Cars.